Grecotel, Greece’s leading luxury hotel group, has completed a wide investment project exceeding €42 million and creating 630 new jobs. 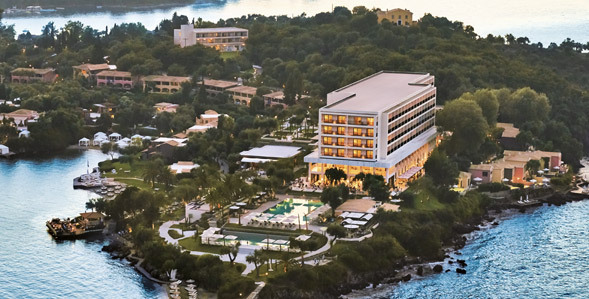 The largest employer of the Greek hotel industry, Grecotel currently has 6,100 employees. In response to the modern needs of luxury tourism, the investment plan includes the remodelling of 5 hotel complexes in 4 of the country's top tourist destinations. Upgrades have been made to 780 guestrooms, 40 dining venues and 155 acres of open-air infrastructure. In particular, the N. Daskalantonakis Group – Grecotel business plan incorporated developments to Corfu Imperial Grecotel Exclusive Resort, Daphnila Bay Dassia Grecotel LUX ME Resort, the new Casa Marron Grecotel All-In Resort (formerly Lakopetra Beach), Pella Beach Grecotel Family Resort and Rhodos Royal Grecotel All-In Resort. 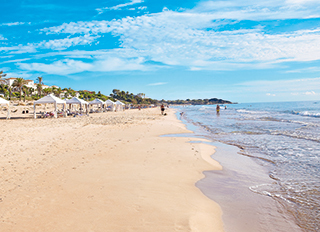 View and download a full range of photos & logos for web or for print use of all Grecotel Hotels. Here’s a full list of contact details concerning your media needs. Talk to our Corporate communications officer, communications directors of our individual Hotels & Resorts and collaborating agencies. A unique luxurious edition offering you the opportunity to promote your company to 500.000 Grecotel guests and the most important travel agents from all around the world and especially from Central, Northern and Southern Europe, U.S.A., Middle East, Russia, Ukraine & other CIS countries.